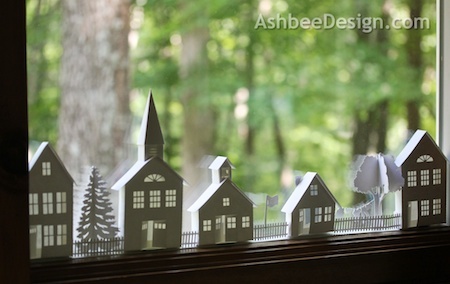 Last week I introduced my Ledge Village to other crafters over on the Silhouette online store. 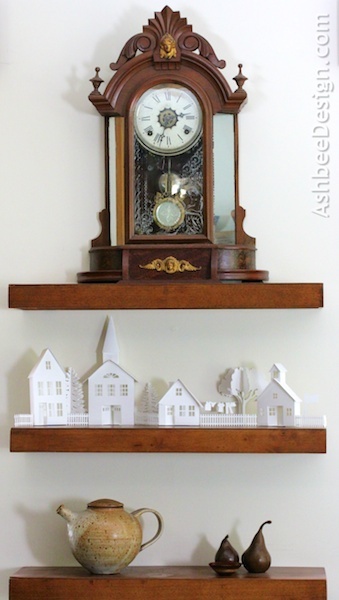 I first shared it with my readers here on this blog back late last year when I created the Ledge Village for my laundry room. 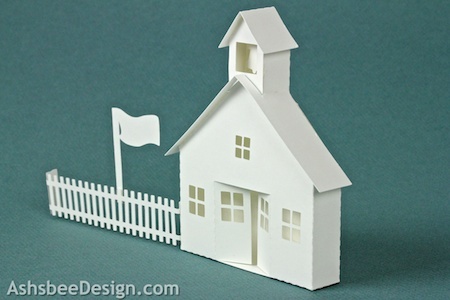 Although I don't have room for new buildings on the laundry ledge, I do have other spaces so I added a school house and church to the buildings. One of the fun things about this project is that you can rearrange the parts and relocate them in new settings. Here it is displayed on the floating shelves in our living room. I also tried putting the village on a window ledge. The light from outside shines through the windows creating a different silhouette effect. 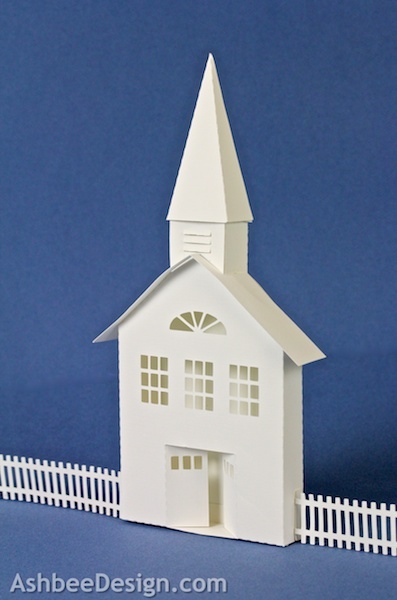 The new church file has some wonderful details especially in the steeple. 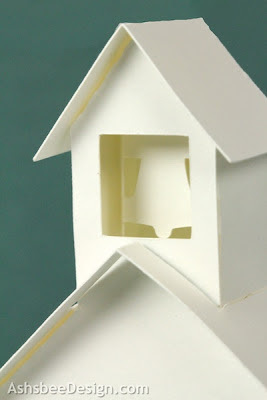 And, if you look closely into the bell tower of the school house, you will see a school bell. Ledge Village grows. I wonder what buildings will be next? Love em! You are so talented! Thank you. I just seem to think architecturally! That is where I have left mine most recently. Just added the barn to it. If I had a window over the kitchen sink, it would look great there. This is really cool! I love it on the window ledge with the light behind. Thank you for sharing it at What We Accomplished Wednesdays. Have a great weekend!